Why the name “Coiled Spring”? 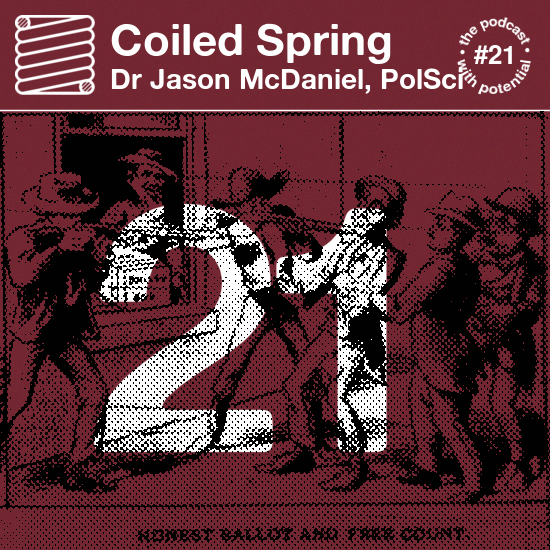 With the US Presidential Election coming up this week, and the future of the human race in the balance, this episode I’m very pleased to present a conversation I had with political scientist and media pundit Dr Jason McDaniel. Jason teaches PolSci at San Francisco State, and has been called on by various media outlets for his insights on voting habits and behaviors. He also called the election for…you’ll have to listen to find out! 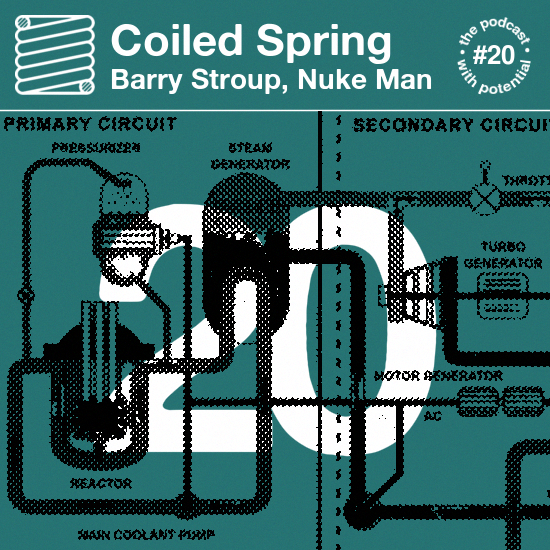 This episode I’m very pleased to present a chat with the delightful Barry Stroup, who’s an experienced nuclear technician and trainer, and also a lovely guy who was a great help to us when the babies first arrived. We talked about how he got into nuclear, his time in the navy, his background in the south, and of course, the effects of Chernobyl. This episode features another of several interviews I recorded on my recent trip to the Old Country. It’s like a second go at the Home Counties tour of 2013. Musician Francois Gamaury, better known as Franz Kirmann, has been creating electronic soundtracks for our inner movies since 2007. He’s also part of Piano Interrupted, with Tom Hodge. Their new album, ‘Landscapes of the Unfinished’ has just been released on Denovali Records. I met Francois in his studio in Battersea, where he showed me some of his new toys. The fact the room was soundproofed would lead you to think the sound quality would be better. 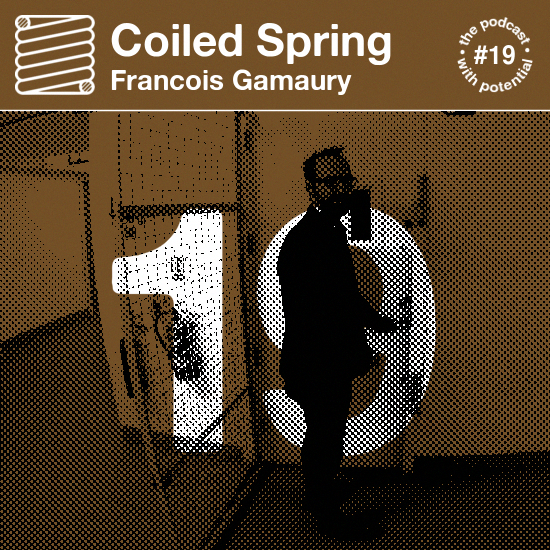 to the Coiled Spring, the podcast with potential. Created, presented and edited by Matthew Petty. Warning: Coiled Spring may contain language. Never miss an episode again! Enter your email address to subscribe and receive notifications of new episodes and updates.